Toronto-based Kepler Communications announced it successfully conducted data transmission tests using a Phasor Solutions wideband electronically-steered antenna and Kepler’s first in-orbit satellites. It could be the beginning of a beautiful friendship. 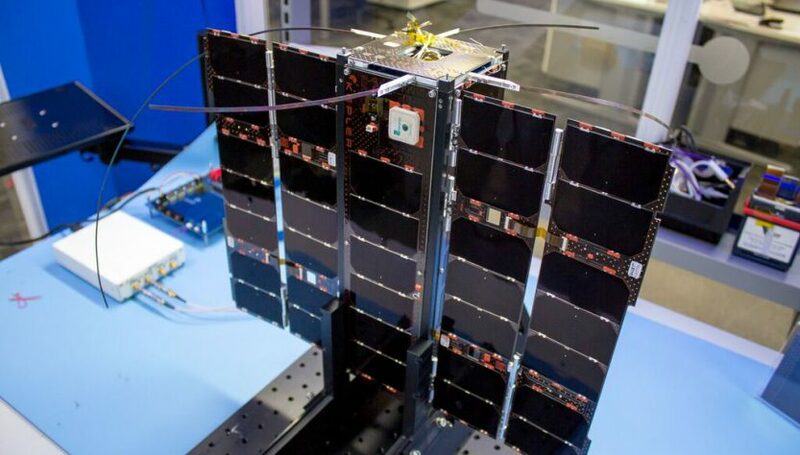 Kepler’s KIPP technology pathfinder satellite is a 3U cubesat (30 cm x 10 cm x 10 cm) launched in January. Reported data rates between the ground and the tiny satellite were in the 20 Mbps range, using Ku-band radio frequencies. One of the (arguably Grand) challenges in low Earth orbit (LEO) satellites constellations is the ability to move data between the ground and fast-moving satellites in the sky, constantly moving in and out of range. Electronically-steerable antenna systems enable tracking of the satellite without large dishes whipping back and forth driven by mechanical motors, especially with broadband applications. Phasor’s wideband flatbed antenna operating from the company’s test range in the UK successfully demonstrated the ability to auto-acquire, auto-track, and communicate with the KIPP satellite as it passed over, able to track the satellite for its entire pass down to 20 degrees elevation angle. Further tests will be conducted in the days and weeks ahead. Kepler plans to put up to 140 satellites into orbit by the end of 2021. The company is currently soliciting proposals to launch its first 10 to 15 GEN-1 satellites within the next two years. Doug Mohney, a principal at Cidera Analytics, has been working and writing about IT and satellite industries for over 20 years. His real world experience including stints at two start-ups, a commercial internet service provider that went public in 1997 for $150 million and a satellite internet broadband company. Follow him on Twitter at DougonTech or contact him at dmohney139 (at) gmail (dot) com. Space IT Bridge features news, feature articles, and other resources to help business leaders and IT decision makers understand emerging business opportunities delivered by a growing number of space-based satellite networks.